Drain the Swamp, How Washington Corruption is Worse Than You Think, And What We Can Do About It. Author and congressman, Ken Buck, gives a behind the scenes view of our government in his new book and what solutions we can implement to make a change in our nation. The Anti-Semitism Before The Holocaust Is Happening Again Now: It's 70 years after the Holocaust and that anti-Semitism that you saw in this rise before the Holocaust is happening again now. The same way that the Jewish stores were boycotted, now Israeli products are. The same way that Jews were afraid to wear a Yarmulke or publicly being a recognized as a Jew on the street, is the same thing that's happening now. There's a fear. And it's our responsibility to learn from these horrors from the past and to make sure this doesn't happen ever again. In this episode, you will learn aspects of World War II that maybe you had never heard before, you'll have a new understanding of what America did, who Americans are, and what Christians and Jews did together in Poland and things that we can do to help now. Treva Green, A Nurse From World War II, A True Heroine: We always use the phrase, “greatest generation” when we talk about the World War II veterans. Tune in now to hear a story from a nurse who served in World War II. This Memorial Day don't forget to honor all who served and the sacrifices they had to make. We are very very blessed in America to have what we have, and it's because of them that we are able to keep it. School Prayer: If Congress Can Have Open Prayer Your School Can Too: Good News Friday today on WallBuilders Live! In this episode, we discuss things such as pro-life good news, that there is actually a remnant of good people in D.C., and prayer in schools! All this and more, tune in now, right here on WallBuilders Live! Daniel Dreisbach: Author of Reading the Bible With the Founding Fathers talks about how much our government, our Constitution, the Declaration, and the very formation of our country is founded on Bible principles. David also outlines many of the casual sayings that we use in our daily language are direct quotes from the Bible. Listen to find out more! Convention Of States Solving A Serious Problem, Why This Has To Pass: In today's episode we talk with Brian Birdwell, a senator in Texas who has led the way on many major issues this spring. One of those is the Convention of States Bill that has passed in Texas. And then we're also going to talk about a religious liberty bill that Brian has passed out of the Senate. Learn in this episode not only why the Religious Liberty Bill and the Convention of States Bill is needed and what it is but how you can help forward these bills. Everything You Always Wanted to Know About God But Were Afraid to Ask: We're talking today about the need to actually ask tough questions. Here with us on WallBuilders Live today is Eric Metaxas author and the host of The Eric Metaxas Show. Tune in now to hear answers to the pressing questions of today on the Bible and why you should believe in Jesus. Brookhill and High Point Summer Camp For Christian Students: In this episode, David Pate talks with us about his two camps for students. The first one is Brookhill Camp for students in 3rd grade to 9th grade. The mission of Brookhill is to teach kids to learn to have fun as a Christian. Hight Point is for 15 - 19 year-olds, training and equipping them for leadership and how to practically apply Biblical principles in their everyday life to become culture shapers and changers. These are life changing camps empowering our youth to grow up with an applicable and Biblical worldview. Learn more about both Brookhill and High Point right here, on WallBuilders Live! Bible And Civil Justice Part Two, Foundations Of Freedom Series: America's Founders designed a justice system unlike any the world had ever seen. They valued and protected the rights of the individual, even over government agenda. Where did these principles come from? What influenced their distinct ideas on civil justice? Where do they fit in the world today? Tune in now to get these answers and more, right here on Wallbuilders Live! Bible And Civil Justice Part One, Foundations Of Freedom Series: America's Founders designed a justice system unlike any the world had ever seen. They valued and protected the rights of the individual, even over government agenda. Where did these principles come from? What influenced their distinct ideas on civil justice? Where do they fit in the world today? 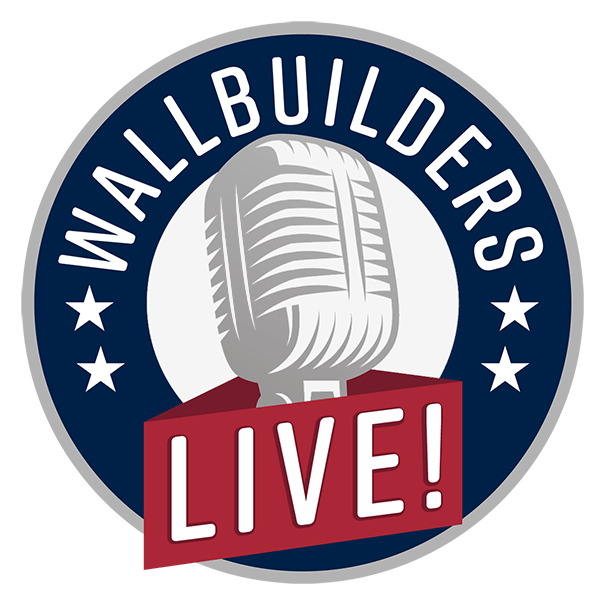 Tune in now to get these answers and more, right here on Wallbuilders Live!